When students sign up for classes at Carnegie Mellon University, they can always expect one thing: They’ll be taught by the best. Students taking “Public History: Learning Outside the Classroom” know this for sure. 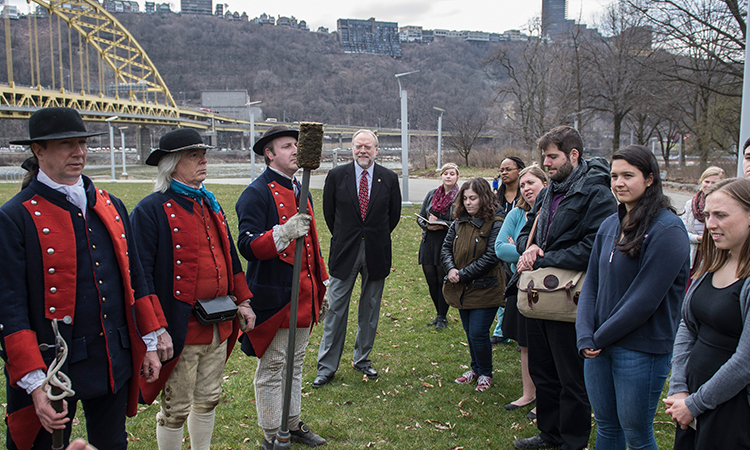 The course took students off campus and into Pittsburgh’s Senator John Heinz History Center—a Smithsonian affiliate and Pennsylvania’s largest history museum. 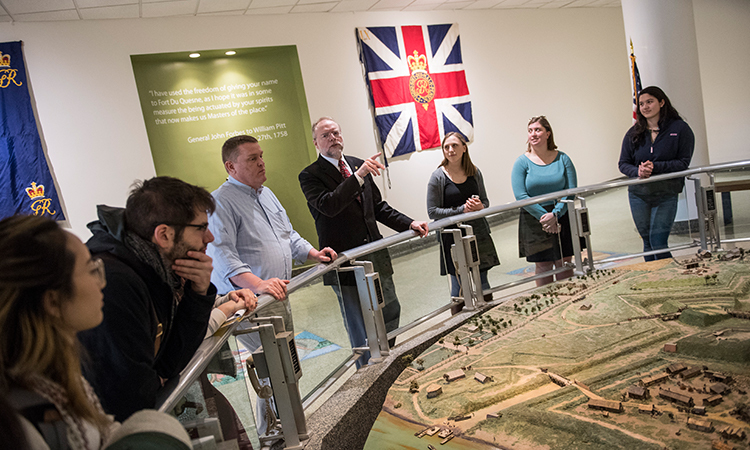 Their instructor was one of the people who knows the city’s history the best: Andrew E. (Andy) Masich (DC’14), the museum’s president and CEO. Getting a firsthand look at Pittsburgh’s past has been impactful for Hadrian DeMaioribus, a sophomore majoring in social and political history. A historian and scholar, Masich received his Ph.D. in history from CMU. That’s how he came up with the idea for the course. 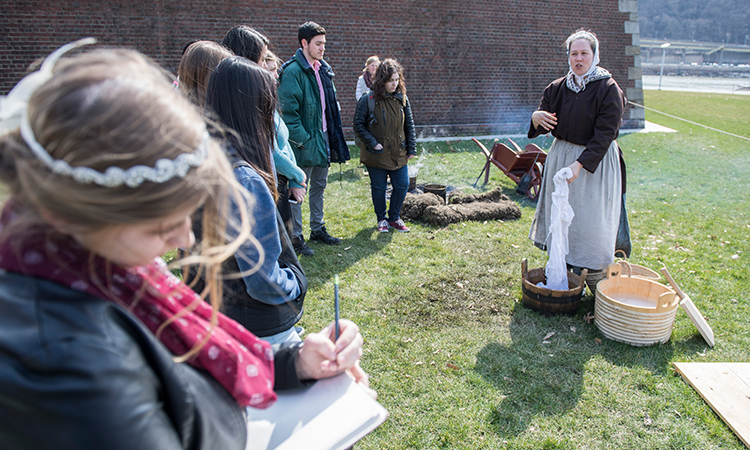 Throughout the course, students have taken behind-the-scenes tours of Pittsburgh museums, field trips to public places and explored archaeology, exhibitions, food traditions, monuments, films, oral history, living history demonstrations, publications and social media. A senior Ethics, History and Public Policy major, Maggie Edwards has a greater appreciation for all that goes into maintaining museums. The class visited the Fort Pitt Museum where they learned how Fort Pitt has shaped the course of American and world history. At the museum, students got to experience proper procedures for firing a cannon and hand-washing clothes. 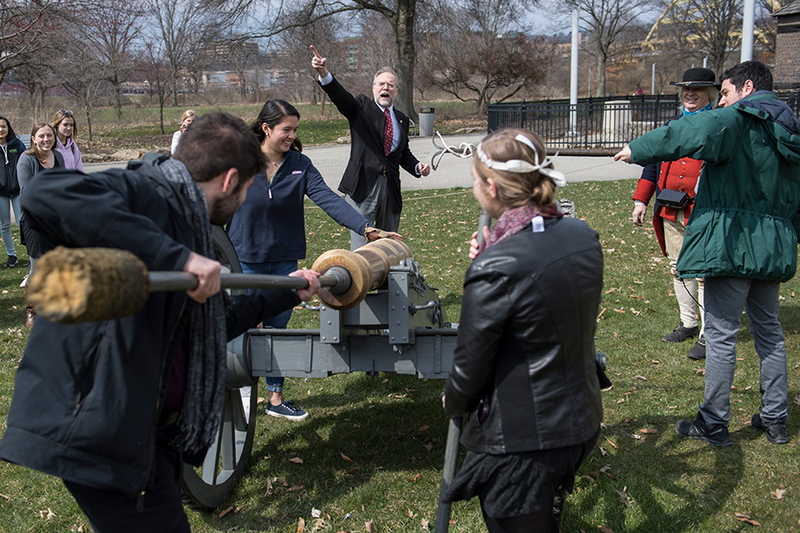 Once a student and now an instructor, Masich is drawn to the ambition of the CMU community.